The Chief Officer's Clutha Log Book (3 month) is bound in a blue rigid cardboard cover and provides ample space for log entries. 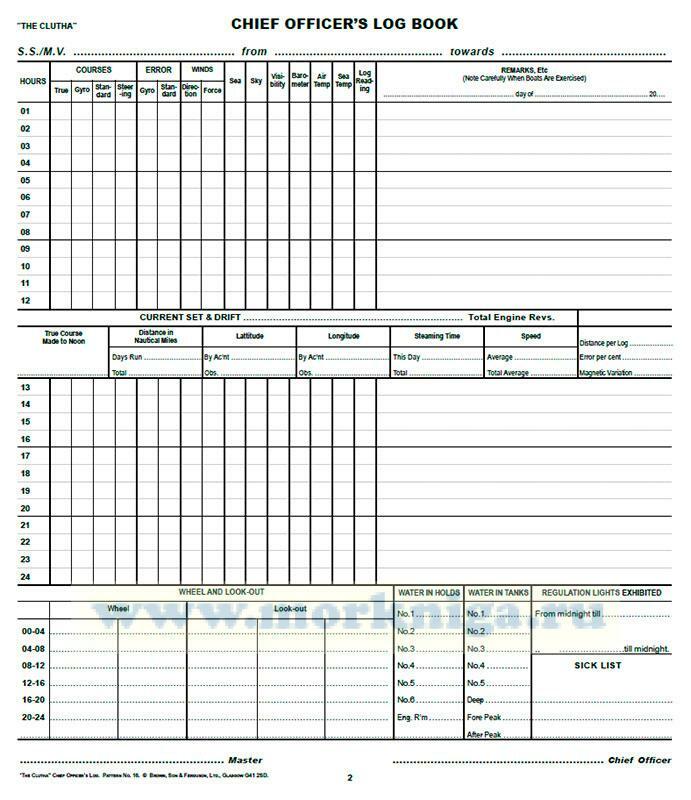 Each page is set up in a grid-table pattern for organized and efficient records. 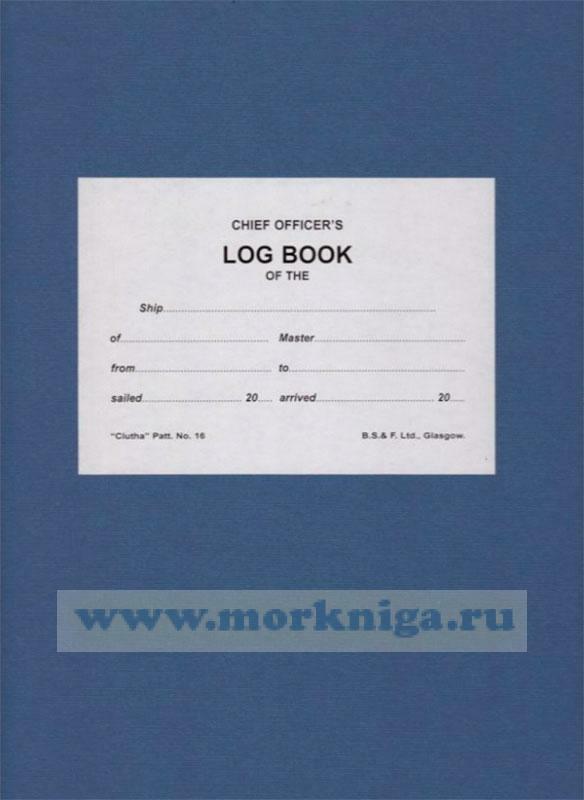 The logbook contains over 190 pages of log entry space and, on each page, allots space for: Vessel Name, From, Towards, Courses, Error, Winds, Air/Sea Temperature, Current Set/Drift, Wheel & Look-out and more. 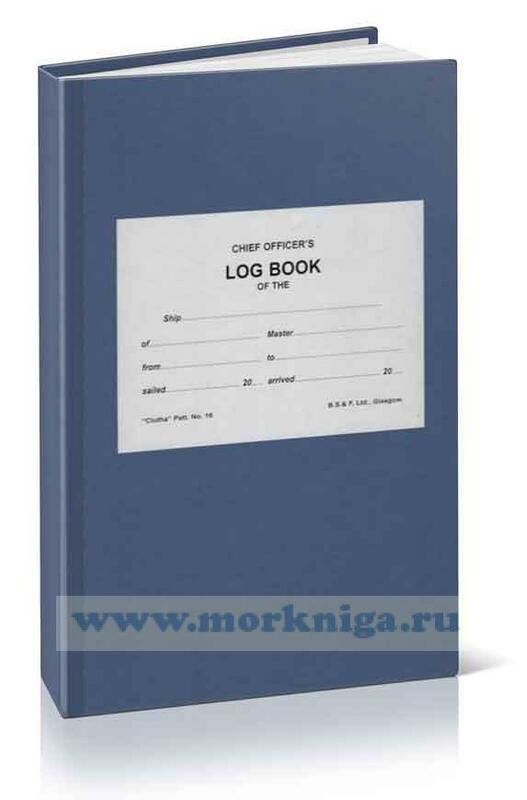 This logbook is constructed for Chief Officers.